Chrome effect feet for a modern touch! Chrome Decorative Furniture Feet are rigid chrome effect feet, for that modern stylish finish to furniture, cabinets, stands and displays. With 2 sizes to choose from with either an M8 or M10 thread, these decorative feet will add a touch of modern sleek style to your application. The Chrome effect covers a white nylon based rigid foot and comes in either a 35mm base diameter or 45mm base diameter. 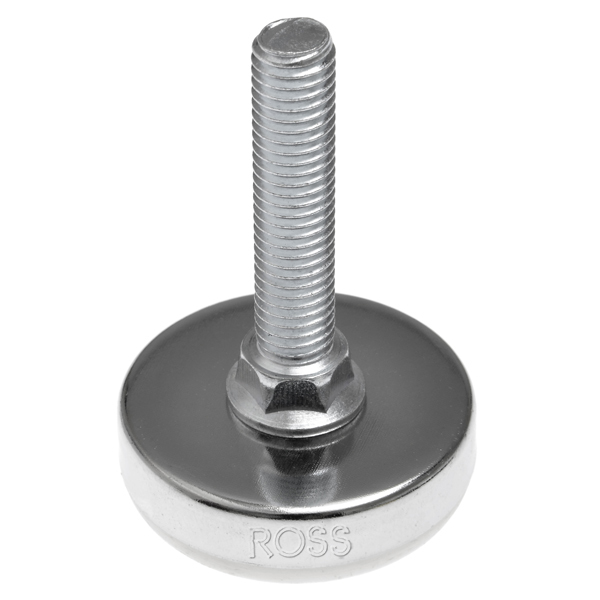 These decorative chrome effect Furniture feet can be teamed up with our threaded inserts to fit into hollow tubular legs.